Tuscany widely known as the most popular region in Italy. Room rates are amongst the highest in Europe Rentals in july-september alone are 90% and enough to cover mortgage (if applied) WE NOW HAVE COMPARABLES FOR NEXT DOOR RESORT BETWEEN JULY AND SEPTEMBER AT 1400-1600 EUROS A WEEK AND SHOWING FULL BOOKINGS(available on request avg 10-12%, rental guarantee package available). Lack of building land, bureaucracy and strict environmental rules and regulations transpire to lack of supply in certain areas. Calambrone Residence, an investor or lifestyle buyer dream will be amongst the few last new construction seaside residential properties (ongoing construction), bordering 2 natural parks,150 metres from a beautiful stretch of sandy beach complete with beach bars and restaurants. Every apartment has been tastefully designed. The residential complex consists of three independent units. 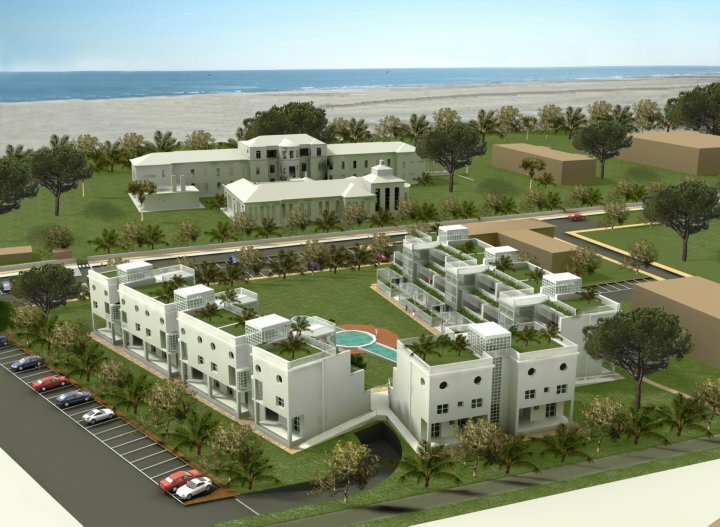 Choice of 2-3 bedroom apartments of 73- 120m2. Apartments on the third floor come with a terrace, balcony and roof garden, second floor -terrace, first floor - garden. 5 mins from Livorno, 3 kilometers radius: 3 Golf Club, Restaurants, bars and 6 4-5 star hotels 150 meters from the beach!